Color: Pink is one of the most popular colors in tourmaline gemstones. There are almost no other gemstones that have such a wide spectrum of colors ­– even in just the pink category – varying from light pink all the way up to hot pink. Occasionally, you'll see tourmalines with multiple shades of pink in one stone, as well as bicolor and tricolor gems, which pair pink and one or two other colors, as seen in the very unique watermelon tourmaline. Though color is generally just based on individual preference for this stone, the more valuable stones tend to be those that are saturated and brighter shades of pink. Clarity: Pink tourmaline is almost always a very clear gem, so eye-clean stones should be expected. However, you may find some inclusions in several of the pink shades, as well as the pink-red rubellite. Fine stones that are more than five carats are exceptionally valuable. 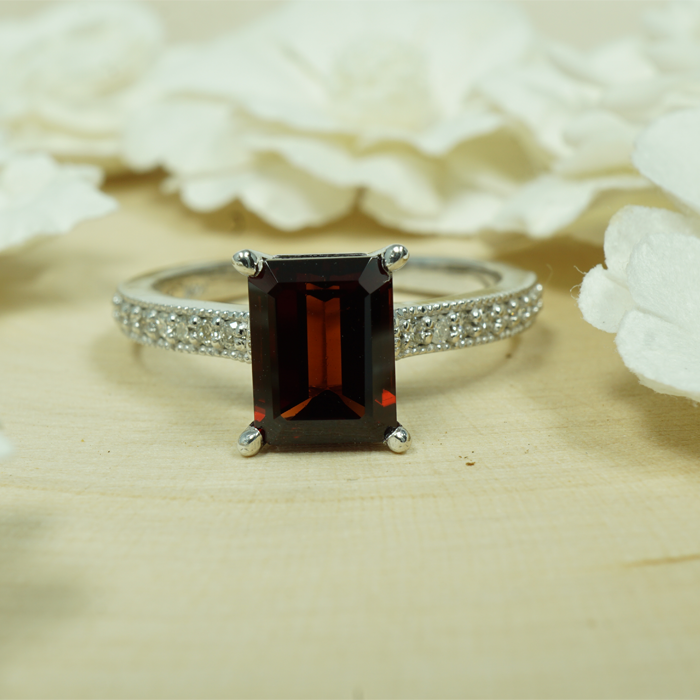 Cut: Due to the fact that tourmaline tends to grow in elongated crystals, it is most often cut into a rectangular shape commonly known as the emerald cut. This is the best style of cut, as its value depends greatly on its brilliance – a direct result of its cut. Carat: Larger-sized pink tourmalines that have been fashioned are significantly high in price per carat – some crystals can reach remarkable sizes, though these are very rare. For similarly colored and clear-fashioned gems, the price per carat usually gets much higher when gems surpass the five-carat marker.